Episode 1 - If They Could See Us Now.....! Episode 2 - Strangers on the Shore...! Episode 3 - Sleepless in Peckham...! 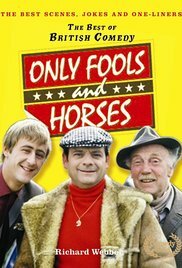 The misadventures of two wheeler dealer brothers Del Boy and Rodney Trotter of “Trotters Independent Traders PLC” who scrape their living by selling dodgy goods believing that next year they will be millionaires. A comedy about the wacky adventures of Giatrus and his tribe of the first human beings on the planet. When the fate of their world, Ninjago, is challenged by great threats, it’s up to the ninja: Kai, Jay, Cole, Zane, Lloyd and Nya to save the world. Documentary series delving into a rarely seen South American wilderness, home to surprising creatures who survive from the mighty Andes Mountains to Cape Horn.